Jed Flint has created a set of printable map of the entire Great Divide Trail from Waterton National Park to Kakwa Lakes. It is available as a 94 MB PDF file that consists of 52, 11 x 17 pages. The maps are based on the route maps in Dustin Lynx’s Guidebook and the GPS waypoints found at rmbooks.com. He also used the Gem Trek maps and the Canadian Rockies Trail Guide by Patton and Robinson to double-check mileages in some areas. 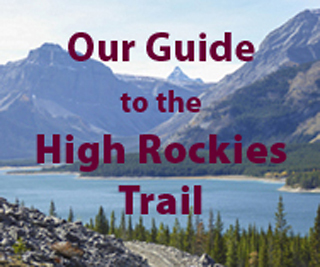 The section of trail through Kananaskis Country may be of interest to readers of this blog. The file can be downloaded here. Previous: Wanna make a loop with Powderface Ridge?